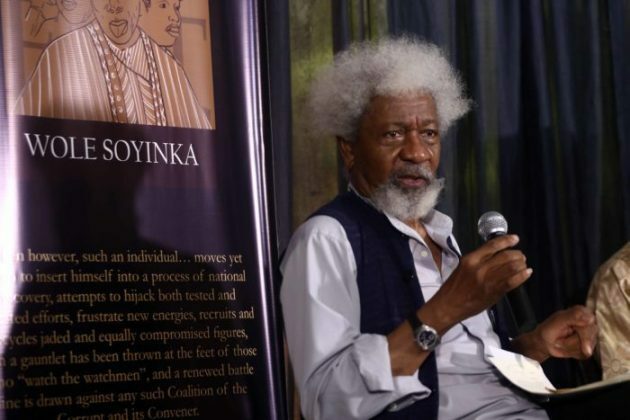 The longlist for the sixth edition of the “Wole Soyinka Prize for Literature” has been released. This edition of the prize is for poetry and the list comprises nine poets. These successful poets were selected from 110 submissions from 11 countries on the continent, including Uganda, Kenya, South Africa, Nigeria and Rwanda. The short-list of three will be announced at a press conference in Victoria Island, Lagos on November 21, 2018. While, the award ceremony, where the winner would be announced,would take place at the MUSON Centre, Onikan in Lagos on December 9 2018. The prize money of $10,000 and citation will be given to the eventual winner by the Nobel Laureate, Wole Soyinka. The jury was chaired by the UK-based literary and Editorial Director, Margaret Busby OBE, chair emeritus of the Soroptimist International of Leeds, previously chair of the Caine Prize for African Writing and the OCM Bocas Prize for Caribbean Literature. The other two were the renowned historian of the University of Texas at Austin: Professor Toyin Falola, author of the celebrated, /A Month Sweeter than Salt’ and the Lagos-based international literary scholar, Olu Obafemi, Professor of English and Dramatic Literature. • Onesi Taiwo Dominic- Heaven on Earth- A Harvest of Poems. Previous winners of the prize have included novelists Sefi Atta for ‘Everything Good Will Come,’ the South African Sifiso Mzobe for ‘Young Blood’ which won over another South African short-listed book the same year, ‘The Unseen Leopard’ by Bridget Pitt. We say hearty congratulations to the selected poets and wish them good luck!